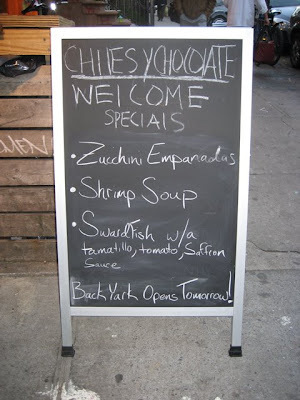 Two years ago I posted this local find, CHIlES y CHOCOlATE, in my neighborhood of Park Slope, Brooklyn. I took this photo long after, to demonstrate that the problem will not go away on its own. This one is even better — the i and L in CHIlES are equal in height, and the L in WElCOME seems to have a deliberate amount of space allocated for the uppercase L, yet it was written in lowercase. 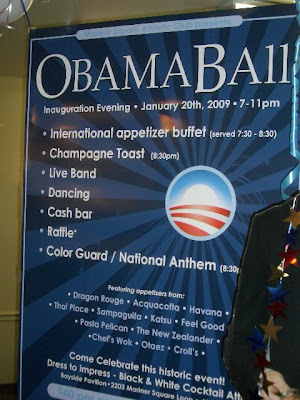 It's Inauguration Day 2009, and to kick off the dawn of a new era for our country, Nancy sent in this poster for the OBAMA BAll. It's not too confusing to read, but it is puzzling. Maybe this is the actual font structure? Nancy is right, it does look like OBAMA BA Eleven. Either way, hopefully there will be change for the better. Priority #1: Lowercase L awareness. Visiting my niece, Lola, in Boynton Beach, Florida, we took her to The Girls Strawberry U-pick for some fresh hydroponically grown fruit. 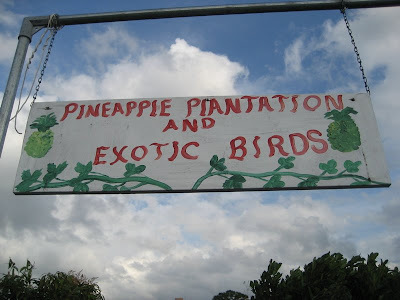 In what might be a case of limited word space, this PINEAPPlE PlANTATION sign with its crammed-in lowercase L's hung above the entrance to a section of the small farm, swinging eerily in the wind as ominous storm clouds rolled in. Little Lola was unaware of the sign and its foreboding message — at just two years old she's too young to understand. We steered clear of the pineapples and made a hasty exit after picking a few strawberries. One day Lola will learn about our country's embarrassing history with the PlANTATIONS of the south, but for now, ignorance is bliss. UPDATE 1/21/09: Also reported this case of Apostrophe Abuse at the strawberry farm. In the spirit of the holiday season just passed I'm posting this Christmasy screen capture. 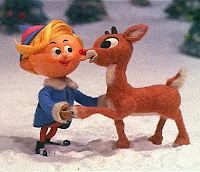 Remember the old stop motion animated television special Rudolph the Red-Nosed Reindeer? 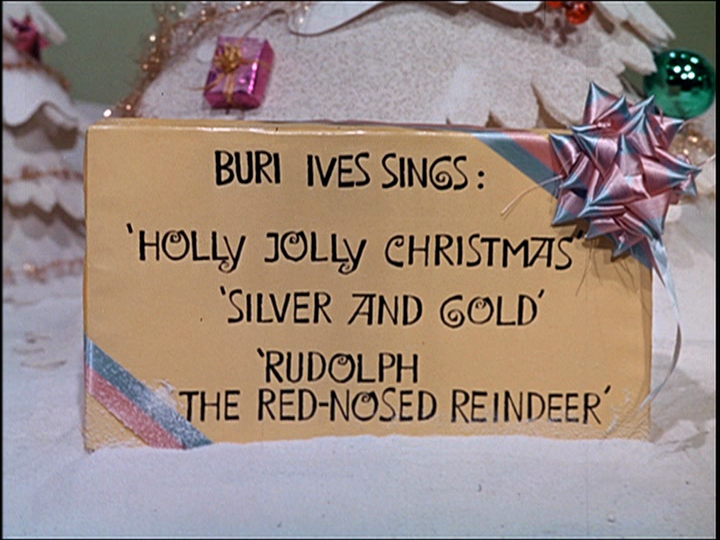 Buddy Haskill pointed me toward this title card in the intro, "BURl IVES SINGS". You can watch the movie on YouTube, but do it quick before Google catches it and takes it down ... not because of the copyright issue, but because of the appalling use of a lowercase L in BURl's credit. Lowercase L contributor and world traveler, Jessica J, made this OVERSEAS CAll at a travel agency in Vietnam. The sign writer is not unfamiliar with the uppercase L, as in SALES, and had plenty of space to use uppercase L's, since he was able to squeeze in the misspelled FOREINGE EXCHANGE, which has more letters. Thankfully there is more than one way to buy a ticket to get away from that sign.